The Big Tree is exactly what it claims to be. 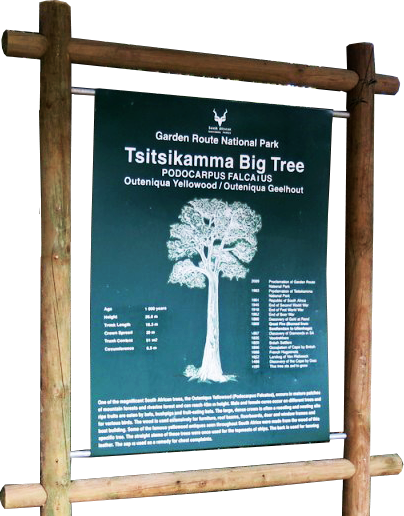 This giant Outeniqua Yellowwood (Podocarpus Falcatus) is a magnificent part of creation, being some 800 years old and towering at an impressive height of 36.6 metres. Trunk length is 18.3m and it takes 8 adults holding hands around the girth. The Outeniqua Yellowwood favours mature forests (mountain or riverine) and provide edible fruits to bats and bushpigs. They are also home to a number of different bird species. A 500m wooden boardwalk through indigenous forest leads to the Yellowwood giant. From there you can continue along the path for up to just over 4km walk to more big trees and fallen giants. Three routes have been laid out and colour coded with red (4.2km), yellow (2.6km) and green (1km) footprints giving a choice of walking distances. The Wild Coast is a section of the coast of the Eastern Cape, a province of South Africa. The region stretches from East London in the south to the border of KwaZulu-Natal in the north. It is the traditional home of the Xhosa people, and the birthplace of many prominent South Africans, including Nelson Mandela and Thabo Mbeki. As it takes you through the former Transkei Region, this route offers various hiking, camping and aquatic experiences await you, while the local crafts markets make for immaculate souvenirs…Look no further than Port St Johns, the jewel of the Wild Coast, if you wish to become one with nature. Surrounded by towering cliffs, covered in dense indigenous forest with beautiful beaches stretching to the north and south, Port St Johns is a relaxed town with sub-tropical weather making it a year round Wild Coast destination. This is one of South Africa’s most unspoilt areas, a vast stretch of undulating hills, lush forest and spectacular beaches skirting a section of the Indian Ocean. Scattered along the coastal route are the villages of Coffee Bay and Hole-In-The-Wall. The homely lodges and bars, excellent fishing and breath-taking hikes culminate in a beachcomber’s dream. Explore the region by helicopter or canoe, take a boat trip to view the whales or watch the dolphins in the surf while you fish, the Wild Coast will take your breath away. 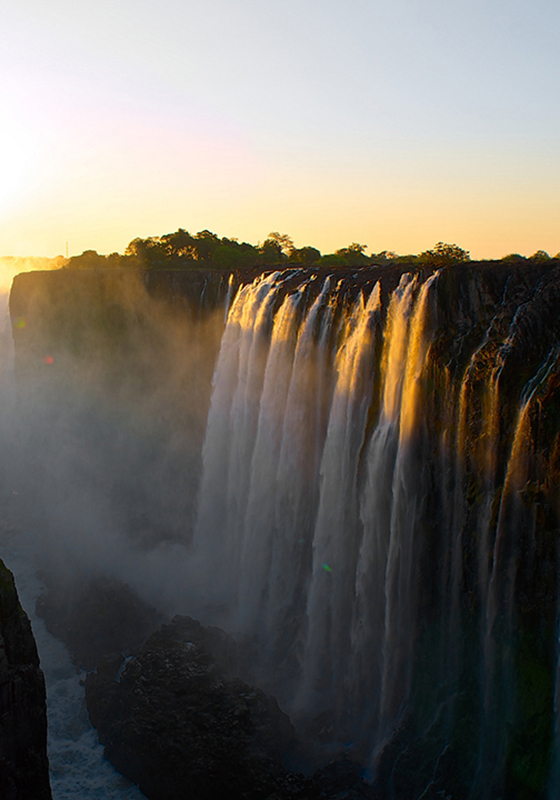 Victoria Falls is one of the Seven Natural Wonders of the World. Statistically speaking, it is the largest waterfall in the world. It was described by the Kololo tribe living in the area in the 1800’s as ‘Mosi-oa-Tunya’ – ‘The Smoke that Thunders’. The Zambezi River, which is more than 2 km wide at this point, plunges noisily down a series of basalt gorges and raises an iridescent mist that can be seen more than 20 km away. In more modern terms Victoria Falls is known as the greatest curtain of falling water in the world. Victoria Falls is located on the border between Zambia and Zimbabwe, and travelers can access the falls through either Livingstone, Zambia or Victoria Falls, Zimbabwe. By the end of the 1990s almost 400,000 people were visiting the falls annually, and this was expected to rise to over a million in the next decade. Remarkably preserved in its natural state, Victoria falls inspires visitors as much today as it did David Livingstone in the 1860’s. The falls and the surrounding area have been declared National Parks and a World Heritage Site, thus preserving the area from excessive commercialisation. The Cape Floral Region has been called the world’s hottest hot-spot for plant diversity and endemism. Its flora is so diverse and unique that it warrants classification as one the world’s six principal floristic regions. In less than 0.38% of the area of Africa it has nearly 20% of the continent’s flora and five of its twelve endemic families. The region was the sixth South African site to be inscribed on the World Heritage List of the United Nations Educational, Scientific and Cultural Organisation (Unesco). South Africa has the third-highest level of biodiversity in the world, thanks in no small part to the Cape floral kingdom. The Table Mountain National Park alone has more plant species within its 22 000 hectares than the whole British Isles or New Zealand. 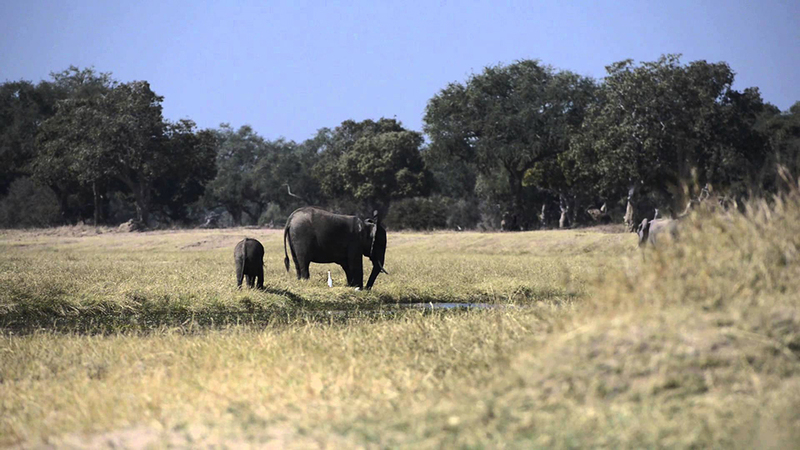 Mana Pools National Park is a 219,600 ha wildlife conservation area and national park in northern Zimbabwe. It is a region of the lower Zambezi River in Zimbabwe where the flood plain turns into a broad expanse of lakes after each rainy season. As the lakes gradually dry up and recede, the region attracts many large animals in search of water, making it one of Africa’s most renowned game-viewing regions. It has the country’s biggest concentration of hippopotami and crocodiles and large dry season mammal populations of the zebra, elephant and Cape buffalo. The area is also home to other threatened species including the lion, cheetah, Cape wild dog, and near-threatened species including leopard and the brown hyena. As one moves northwards towards the Zambezi River from the forests on the Karoo sediments, the vegetation changes to open Faidherbia albida woodlands on the old river terraces. This vegetation gives an unique look to the area and a surreal light filters through the trees giving Mana Pools its distinctive cathedral-like atmosphere. This privilege of walking alone in an area with dangerous wildlife is unique in Zimbabwe. Elephant, eland, buffalo, impala, waterbuck, baboons, monkeys, zebra, warthog and hippo are some of the larger herbivores to be seen regularly on the river terraces as they come out to eat the fallen Albida fruit.